Dragon Soul ebook Now Available! Free your Dragon Soul! 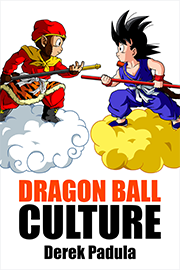 My latest ebook, Dragon Soul: 30 Years of Dragon Ball Fandom, is now available! 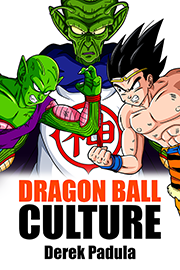 With a foreword from Christopher Sabat and Sean Schemmel, Dragon Soul: 30 Years of Dragon Ball Fandom is a grand celebration of the world’s greatest anime and manga and it’s momentous 30th Anniversary. 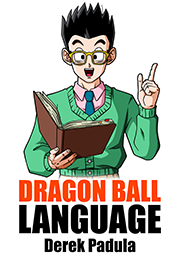 The book can be purchased on The Dao of Dragon Ball website, Amazon, Apple iBooks, Google Play, B & N Nook, and Kobo for $7.99. 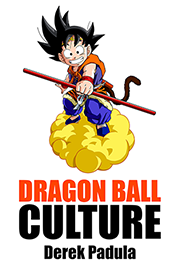 Join me on a global adventure in search of the 7 dragon balls, as we head west toward Japan, the birthplace of Dragon Ball. Along the way we’ll meet 81 fans from 25 countries who will share their Dragon Ball story. From artists to authors, collectors to philosophers, we’ll hear their Dragon Soul and discover how Dragon Ball changed their lives. We’ll meet such famous fans as Lawrence Simpson (MasakoX) from Team Four Star, the creators of Dragon Ball Z: Light of Hope, Twitter star @Goku, Malik from Dragon Ball New Age, Salagir from Dragon Ball Multiverse, MMA fighter Marcus Brimage, YouTube celebrities Nelson Junior (Casa do Kame), SSJGoshin4, and film critic Chris Stuckmann, famous cosplayers “Living Ichigo,” Atara Collis, and Jah’lon Escudero, authors Patrick Galbraith, Nestor Rubio, and Vicente Ramirez, and over 60 more. I’ll start formatting the print book soon. The ebook has over 100 full color images, and the print book will have even more. So stay tuned for that! 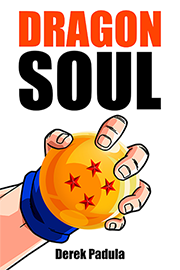 I wrote Dragon Soul as a tribute to Dragon Ball fans across the world, as a tribute to Akira Toriyama, and as a tribute to the eternal spirit of our favorite series. 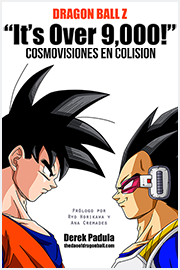 The foreword to the book is written by Christopher Sabat and Sean Schemmel, the American English voices of Vegeta and Goku. They were gracious enough to meet with me at the C2E2 Convention in Chicago, on April 25, 2015, and lend their voices to the book. We had a meeting in thier hotel room and started to figure out what we wanted to say. It required a month of further meetings and refinements until we have the finished product that you can read today. This book was originally much smaller in scope. 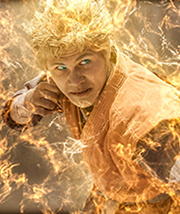 But as I tend to do, I let the project grow larger in scope, just like Dragon Ball itself. As fan submissions came in from across the world, it required increasingly greater amounts of time to edit their submissions and photographs. And then when I added the professionals section, the amount of work increased tremendously. I’ve done nothing but work on this book for 14 hours a day, 7 days a week, for the last 3 months. You can’t find anything else like this in the world. There’s never been a book dedicated to fans of an anime before, nor to Dragon Ball in particular. And the tell-all tales from the professionals, the heart-wrenching and inspiring stories from fans, and the production value of the book, makes it worth paying a premium for. 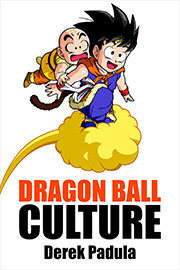 You’ll discover more about Dragon Ball than you ever thought possible, and you’ll discover more about yourself and why you love this series so much. So what are you waiting for? Free your Dragon Soul! 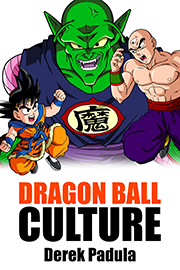 Available on The Dao of Dragon Ball, Amazon, Apple iBooks, Google Play, B & N Nook, and Kobo.